Here we are with the February Newsletter! With this months’ newsletter: we go over a couple of different things. 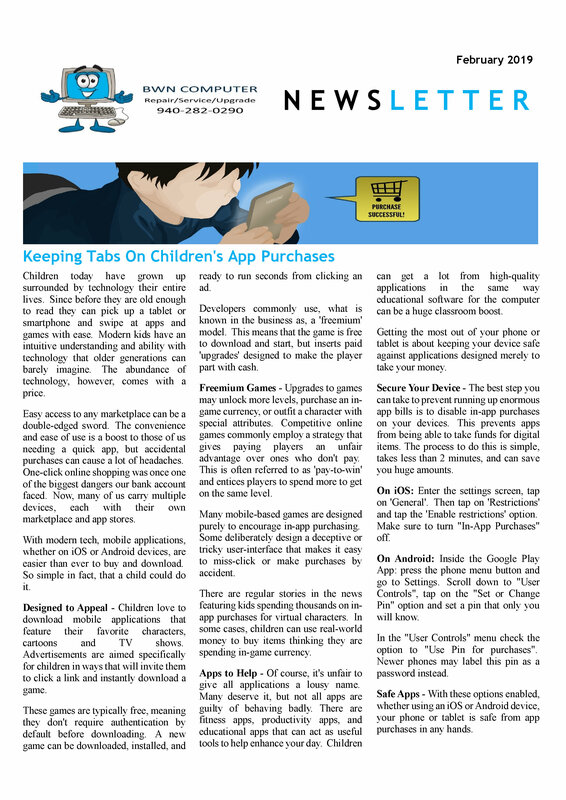 On the first page…we learn how to look at app purchases on our childrens’ devices and how to secure those devices from unwanted purchases. 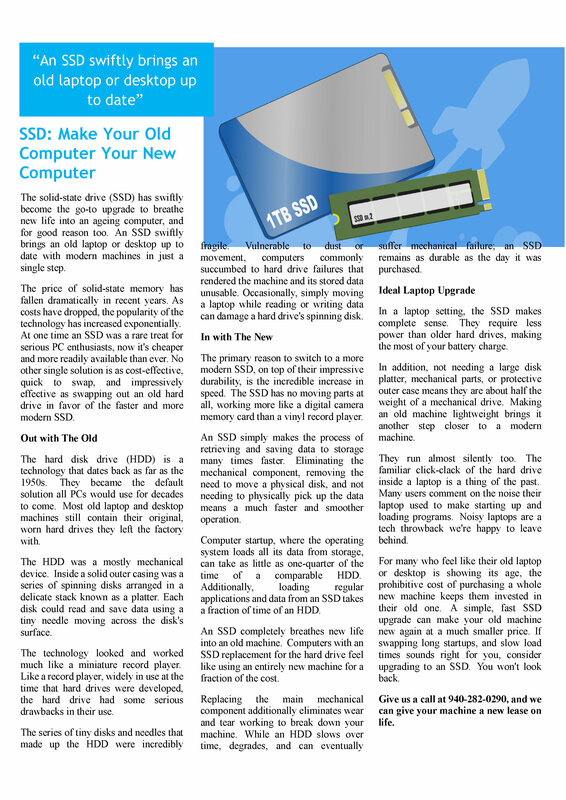 And…on the second page…we go over how upgrading your current HDD (hard drive) with an SSD (Solid State Drive) can breathe new life into your computer. Also…by doing this…you will spend less money than purchasing a new computer. If you’d like to upgrade your old computers’ hard drive to a new SSD…bring it on in to our shop and we’ll take care of you. This is just one of the many services we provide to help with your computer-related issues. Of course, if you have any questions about items in this newsletter (or any other computer-related issues), please…Contact Us…and we’ll get them answered. Have a Blessed Day…and…Happy Computing!